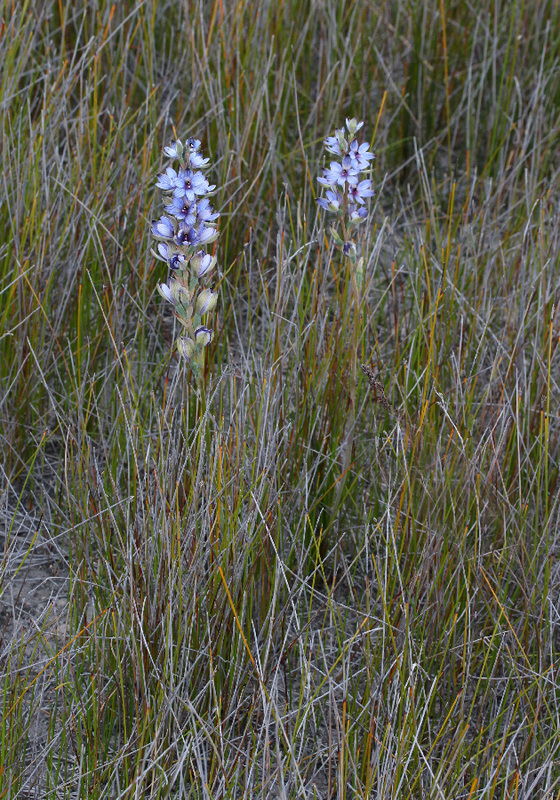 This group consists of four species. 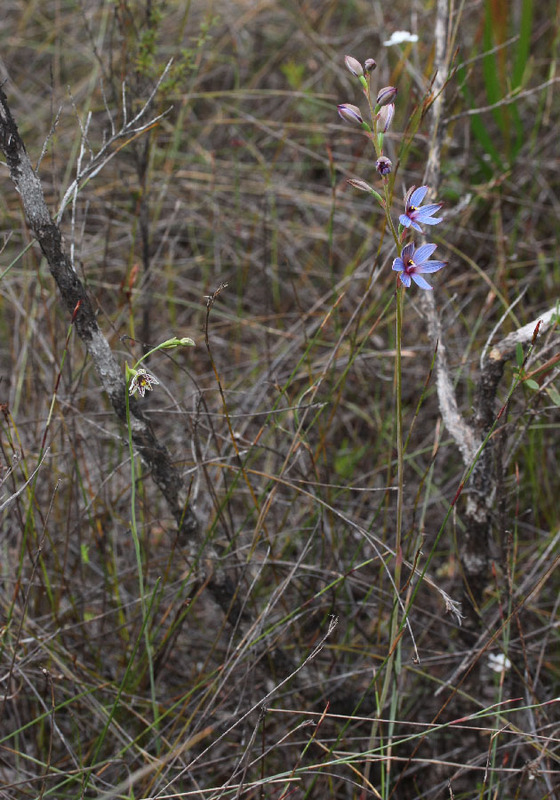 The Shirt Orchid is quite distinct, but the other three are very similar to each other. 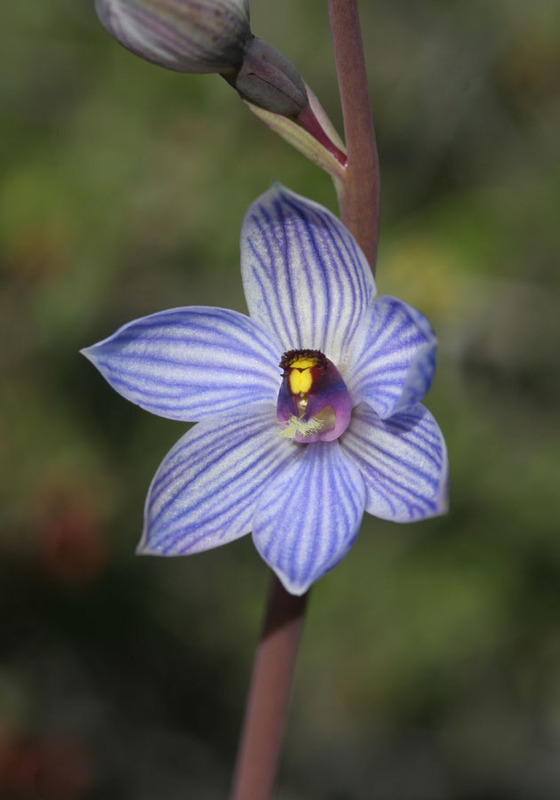 The Shirt Orchid is easily distinguished by its column, with its three closely spaced yellow column nodes. 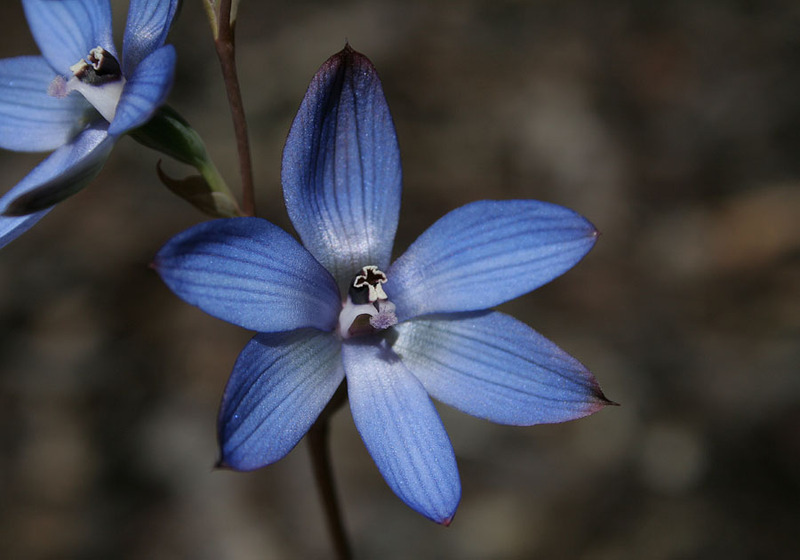 A feature of these flowers is the cupped appearance, giving the alternative common name, Bell Sun Orchid. 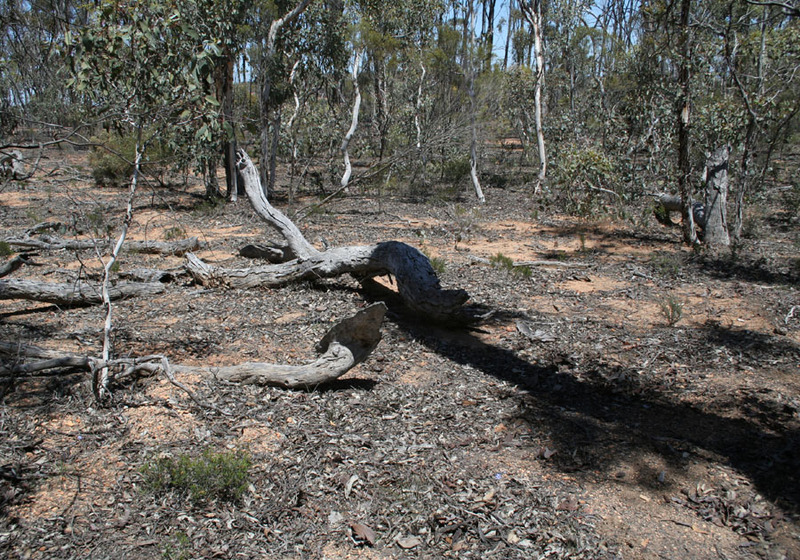 It is found in two widely separate areas. 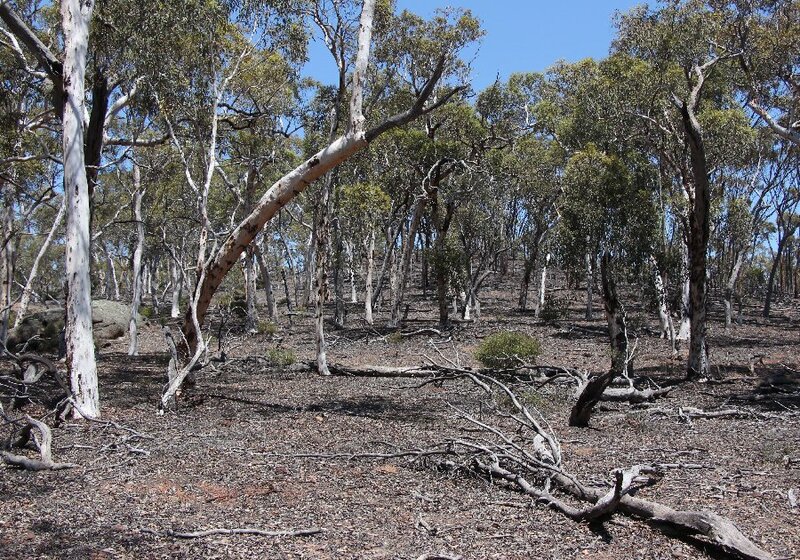 The first is from Perth to Kalbarri, the other is from the Stirling Range to east of Esperance. 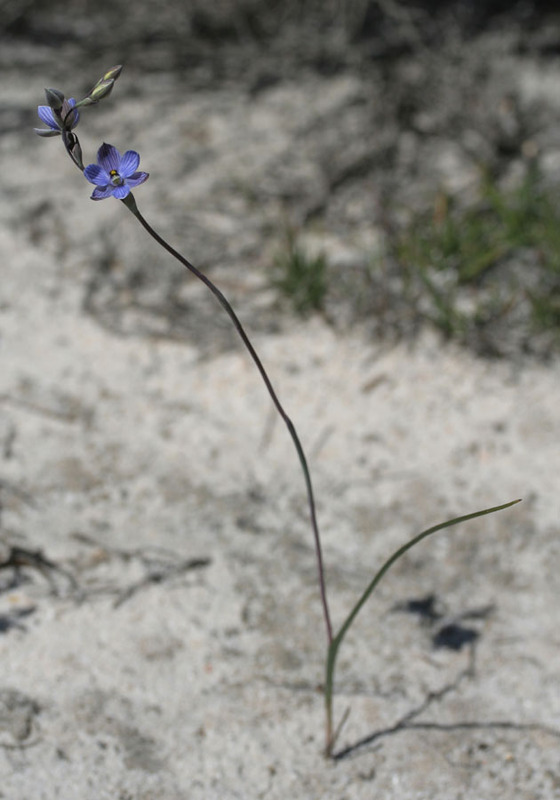 In both areas it is found in sandy habitats. 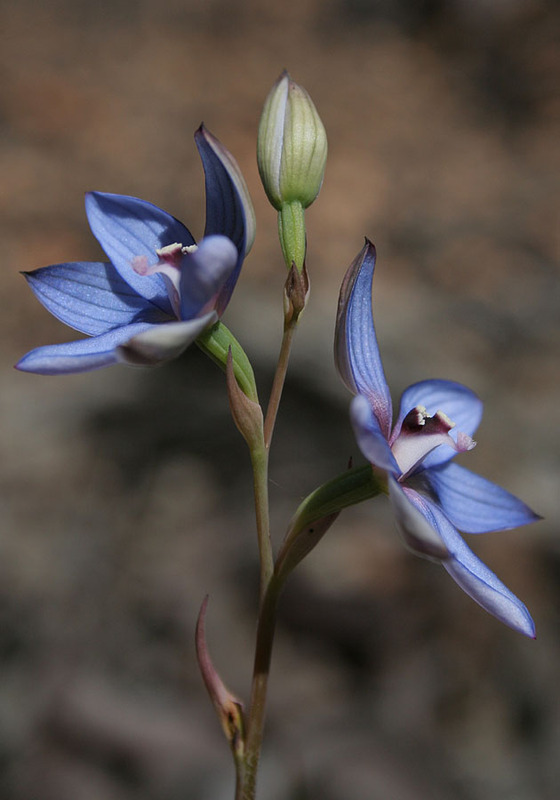 Flowering occurs from late August to October. 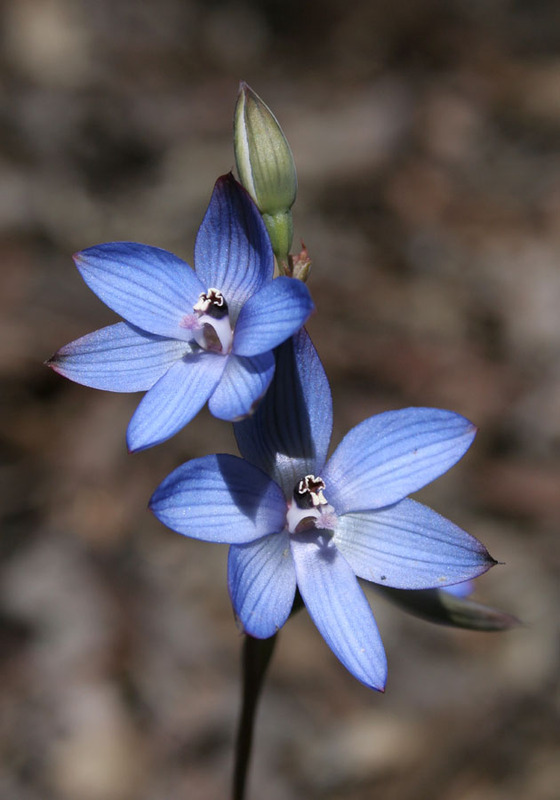 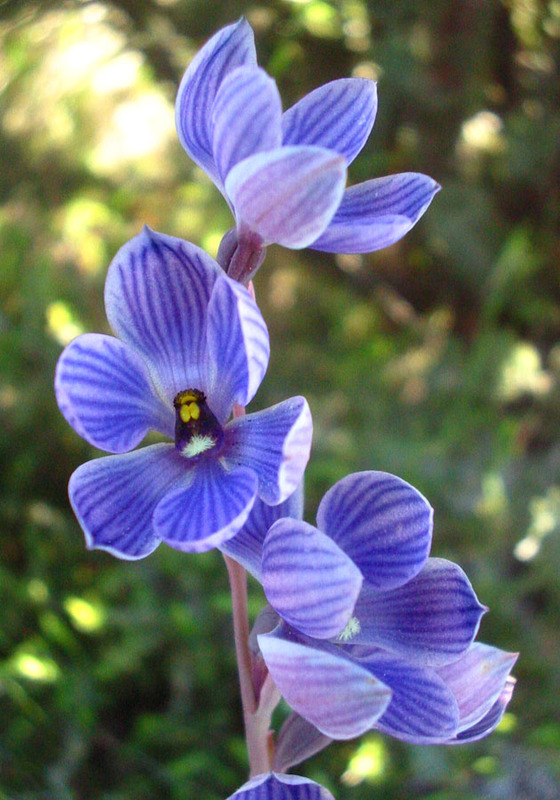 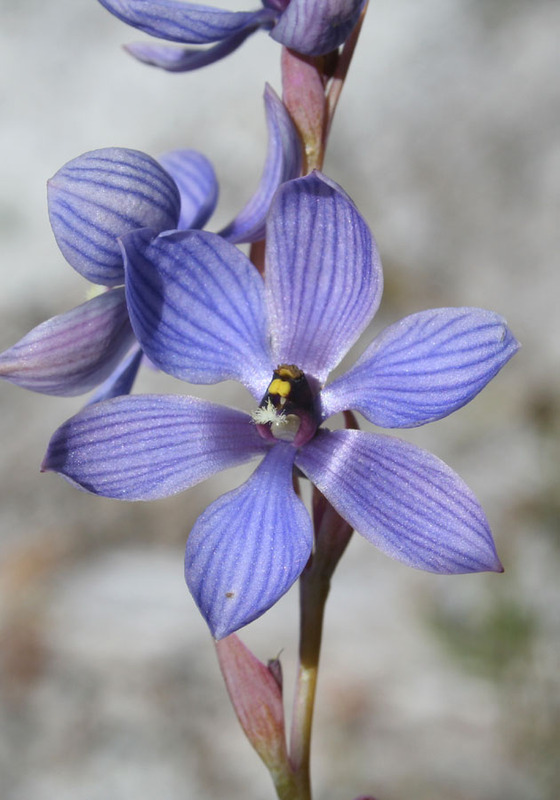 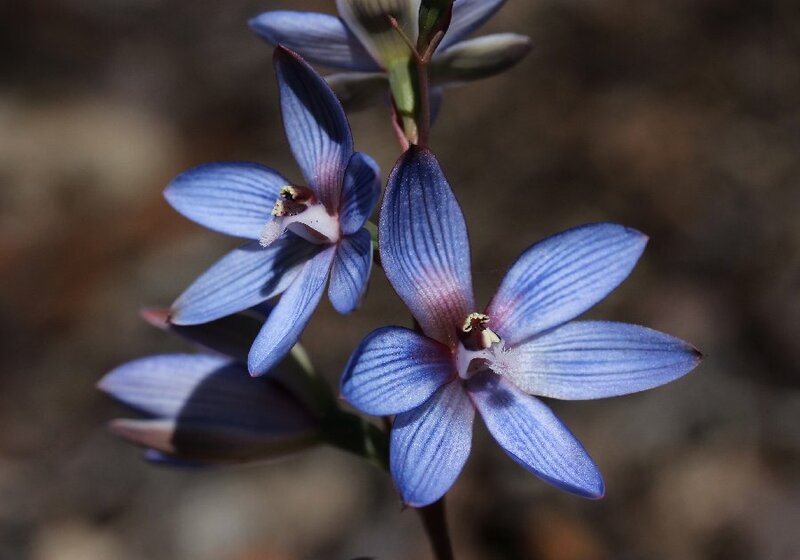 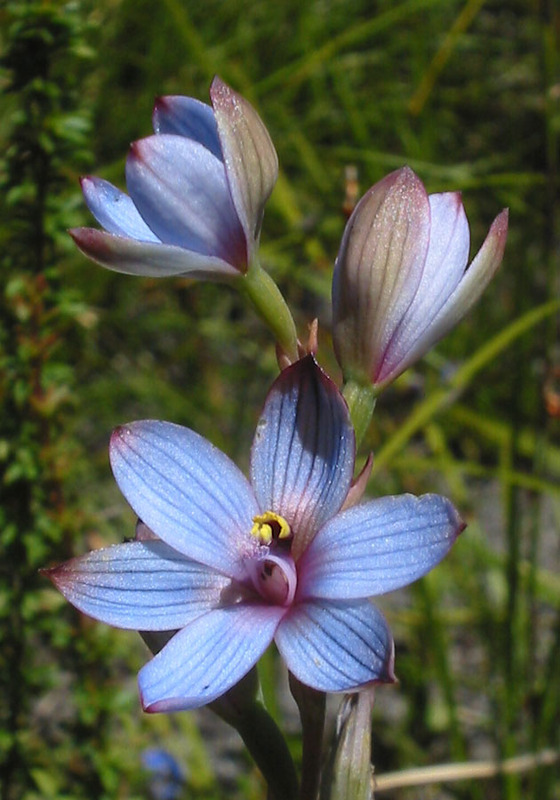 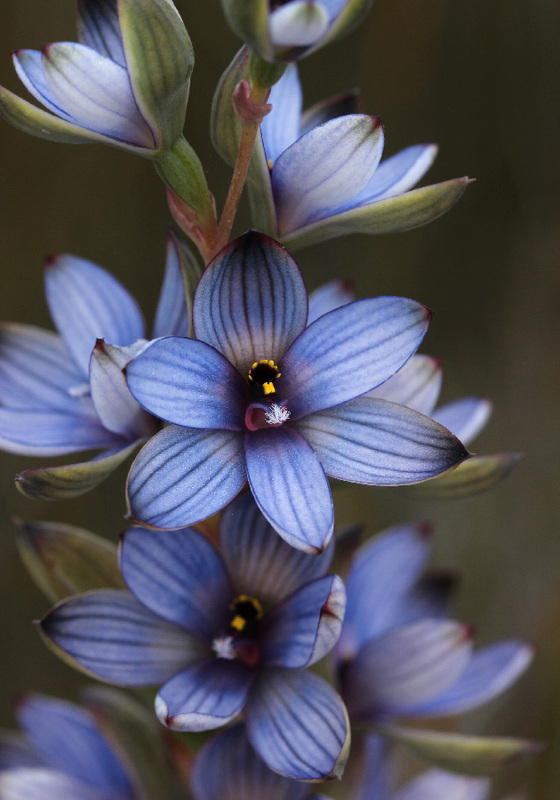 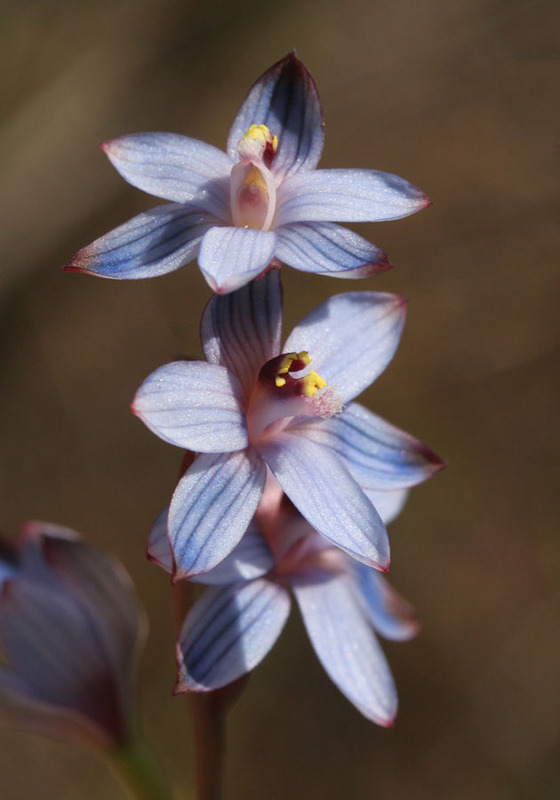 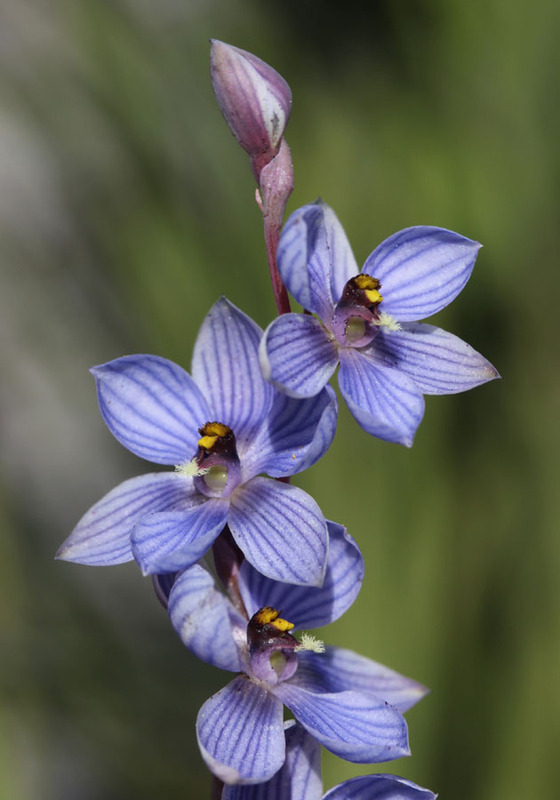 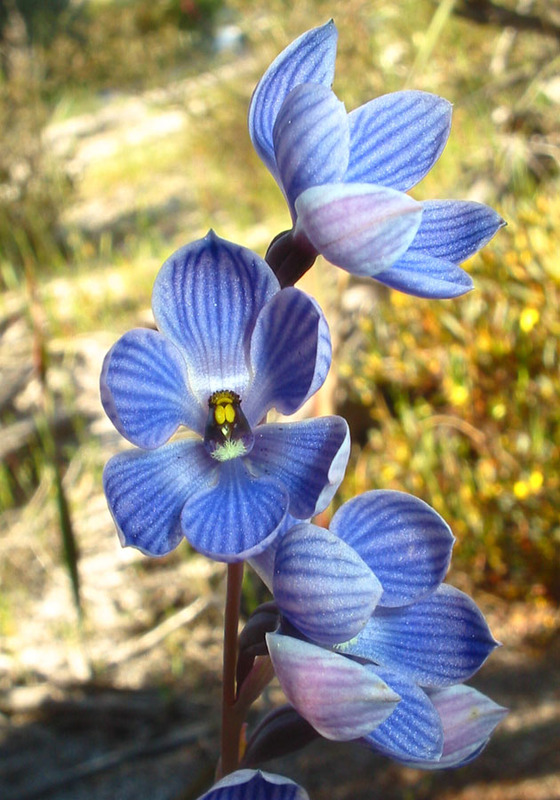 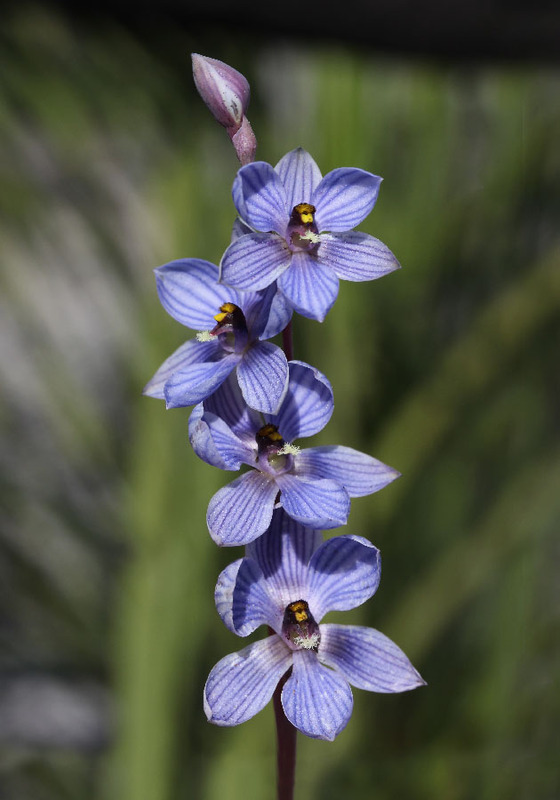 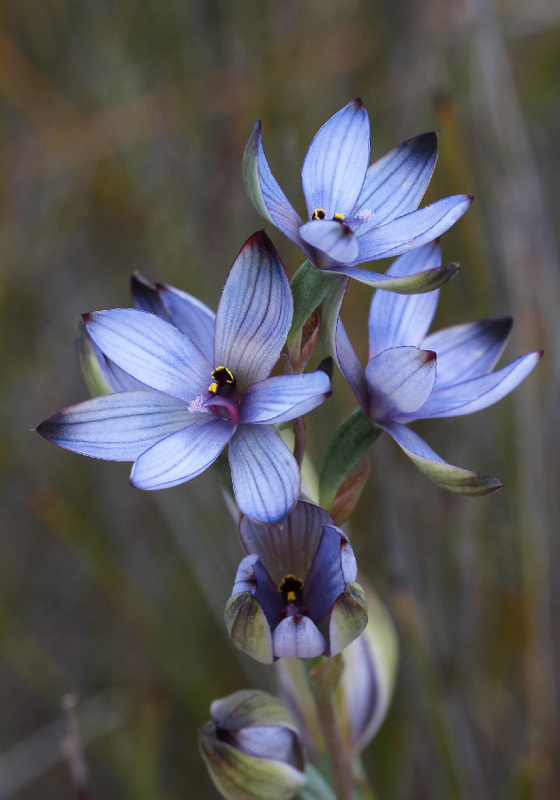 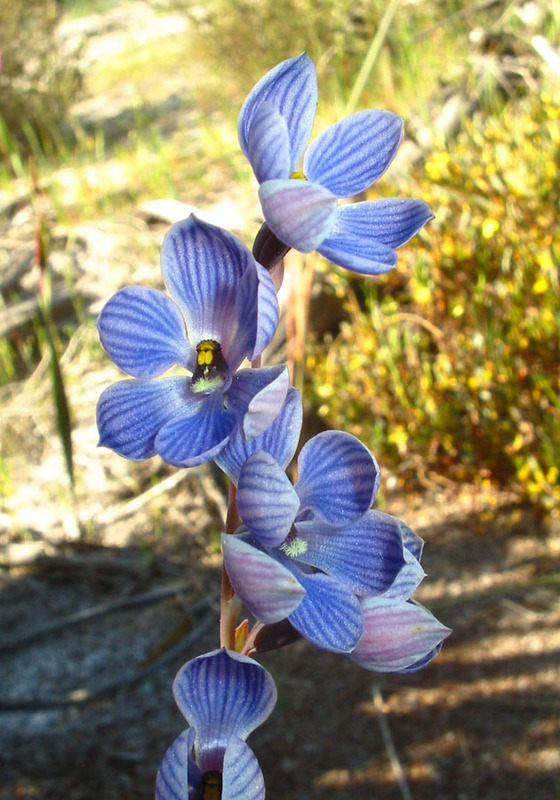 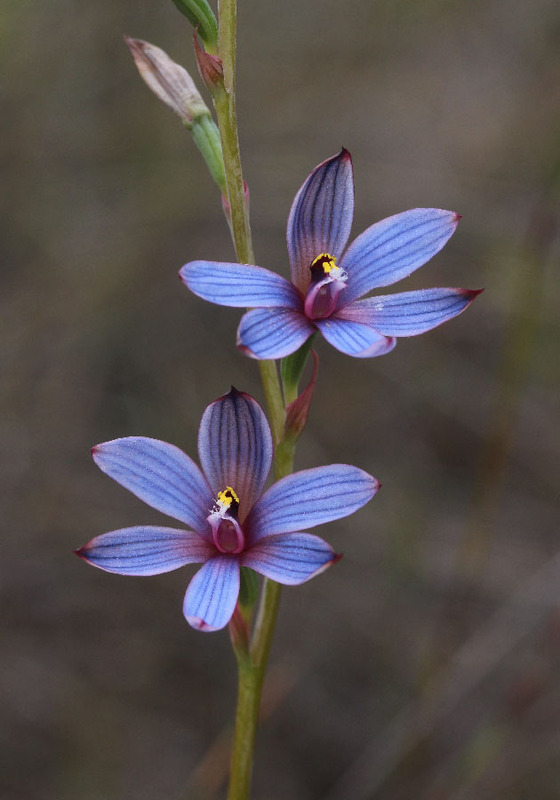 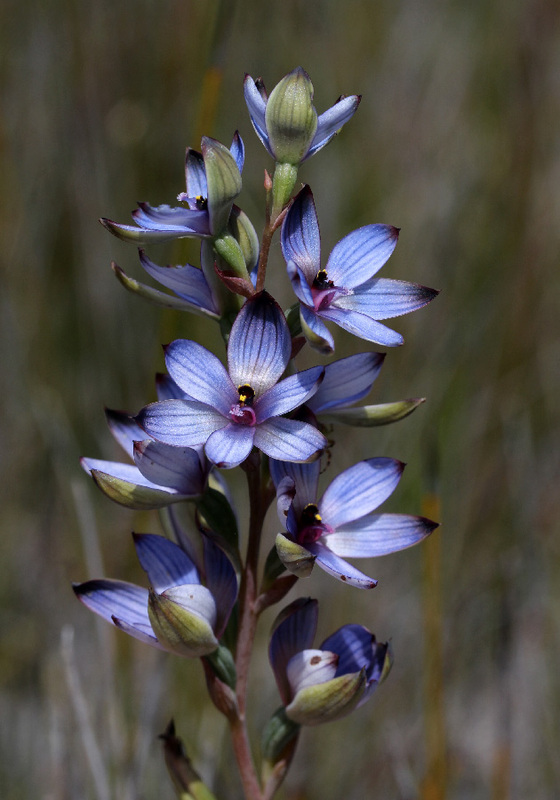 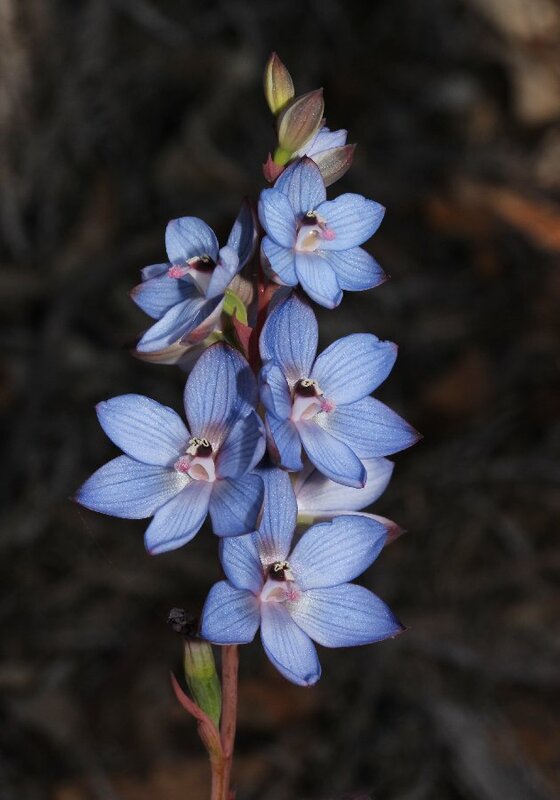 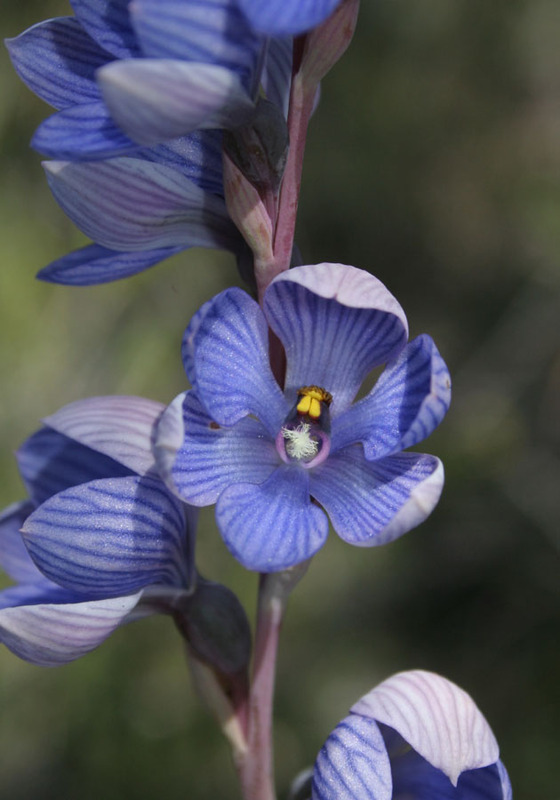 The Blue Sun Orchid is found in swampy areas along the south coast. 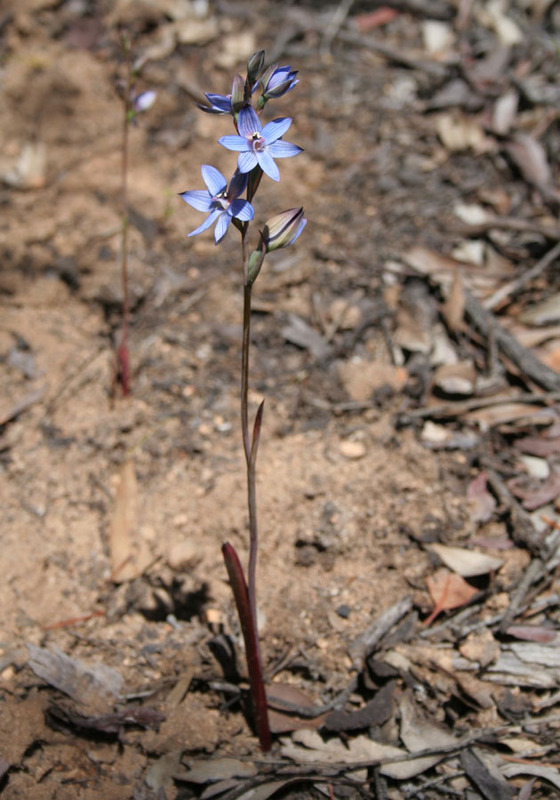 It is very similar to the Wandoo Azure Sun Orchid, distinguished by minor differences in the column structure and habitat preference. 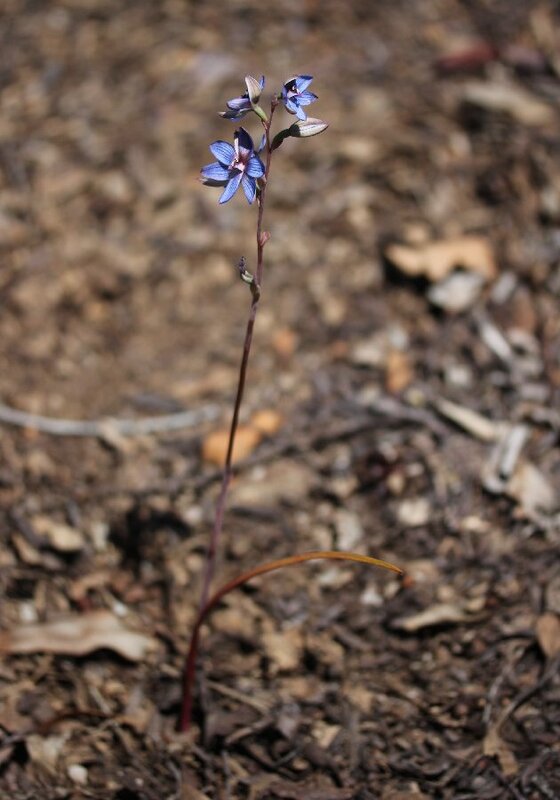 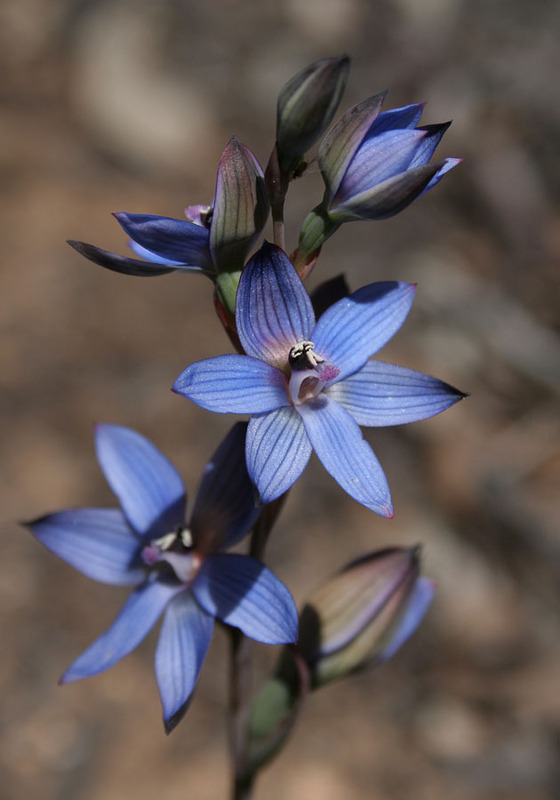 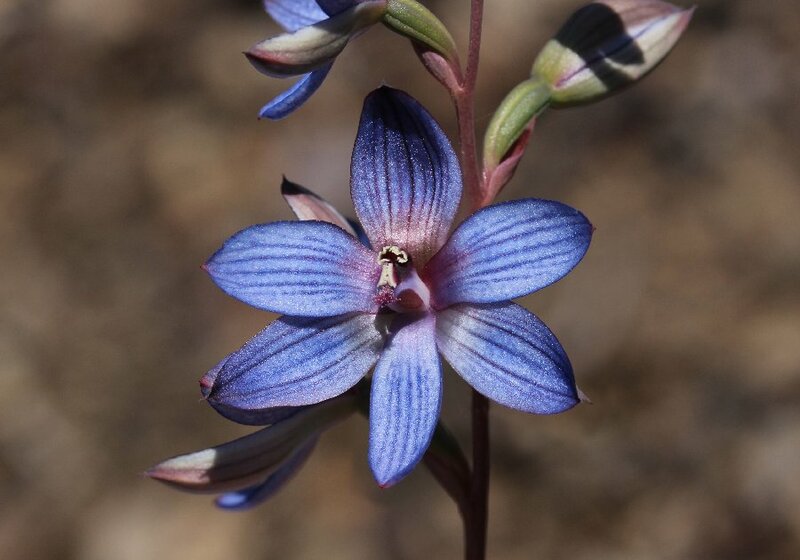 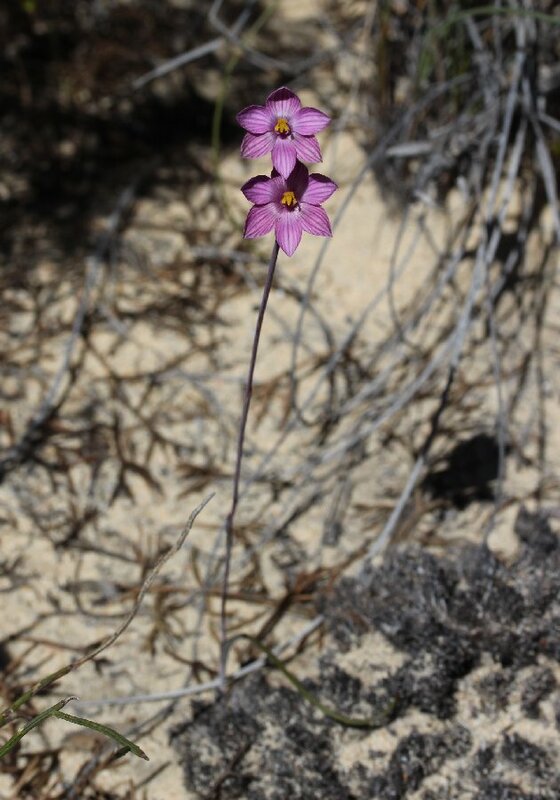 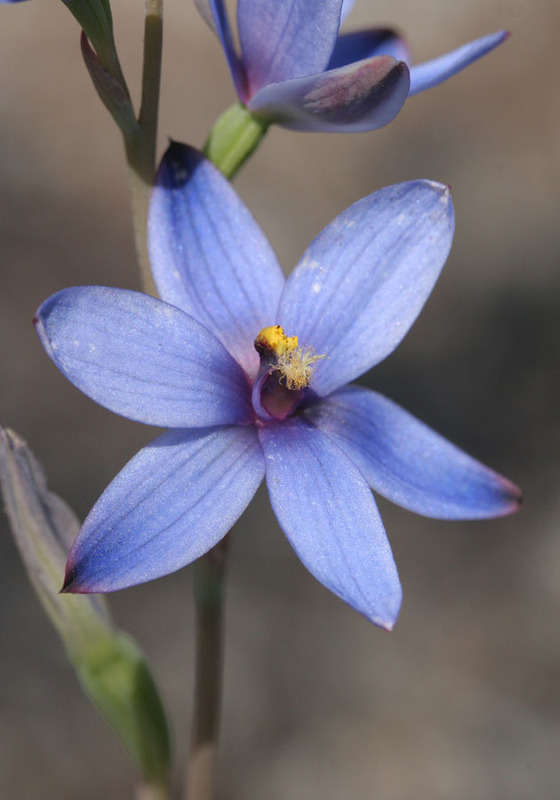 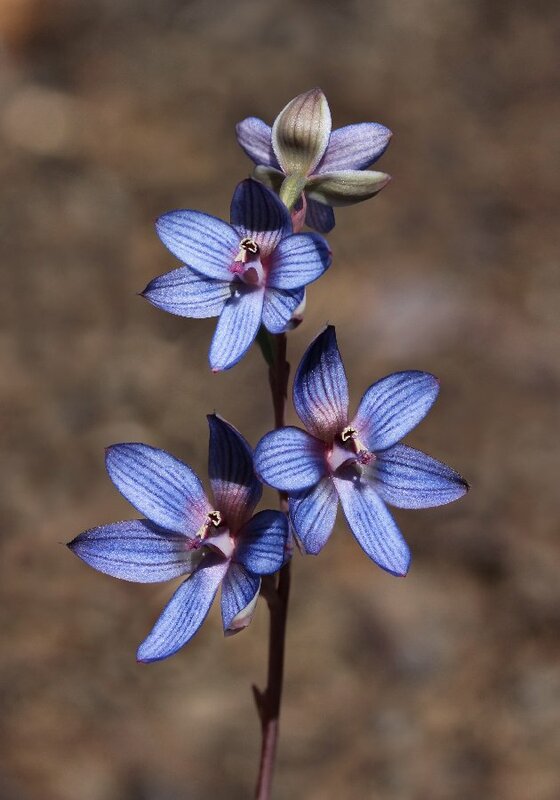 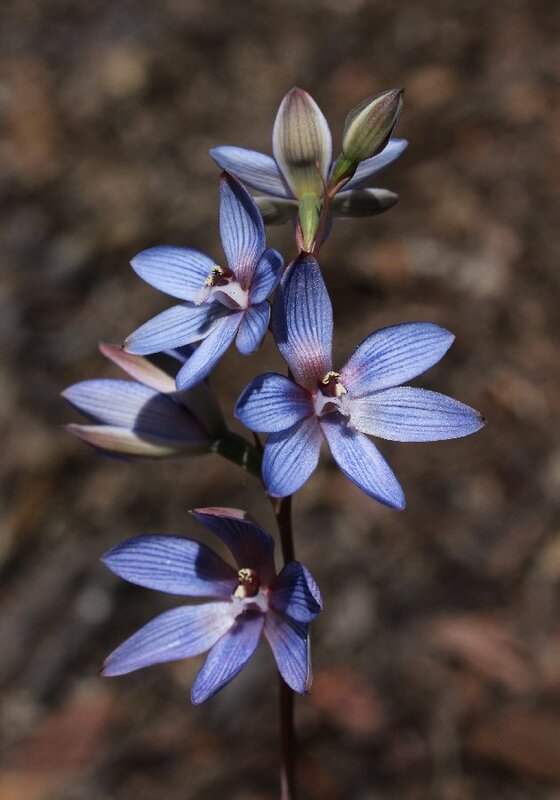 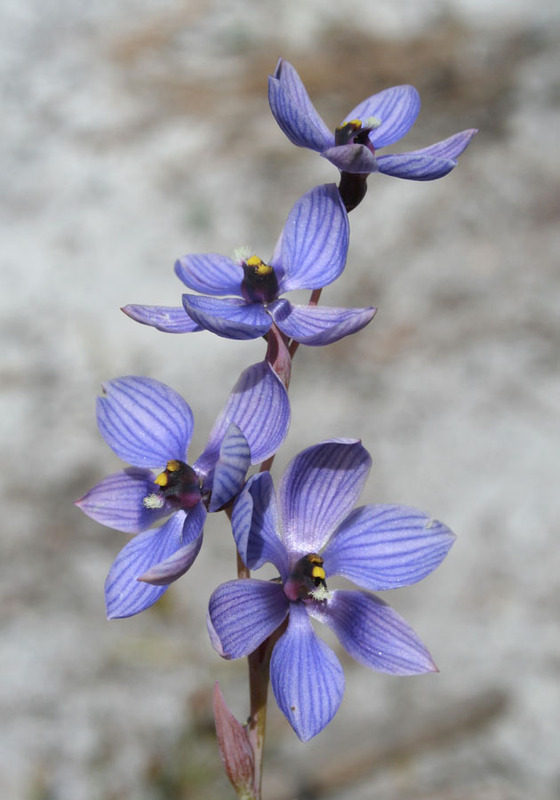 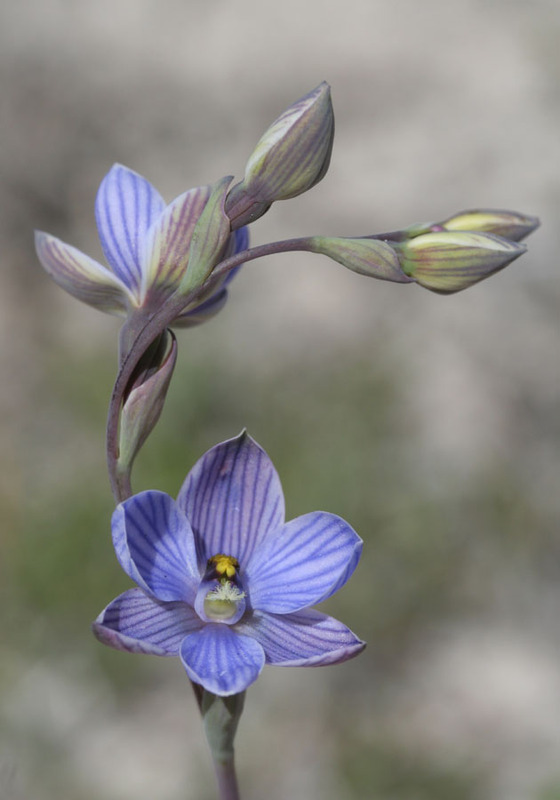 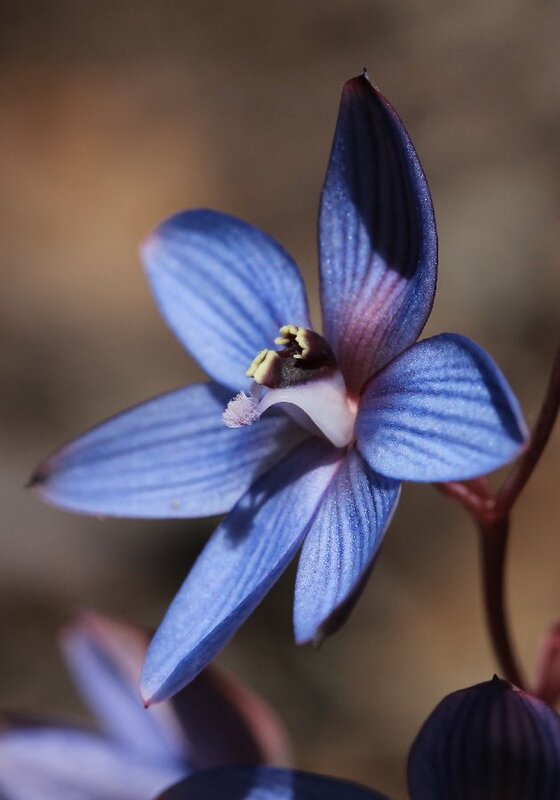 The Wandoo Azure Sun Orchid is found mainly in the central wheatbelt area, particularly in Wandoo forest along the western edge of the wheatbelt. 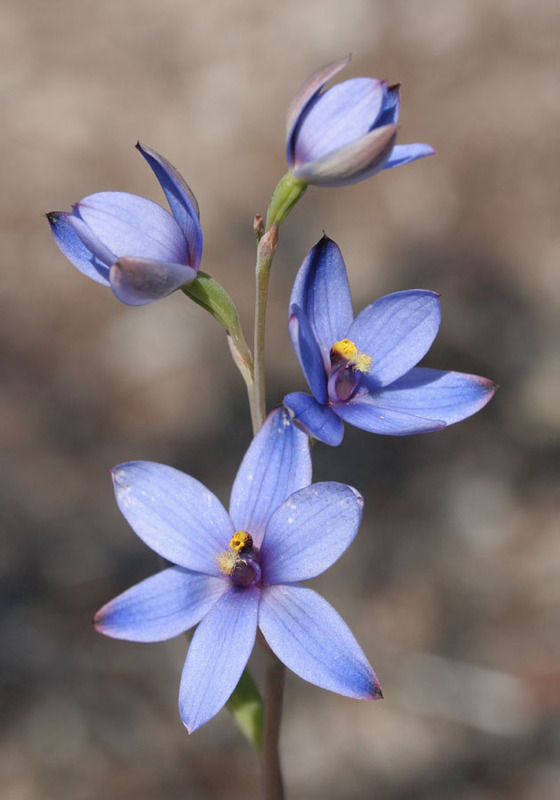 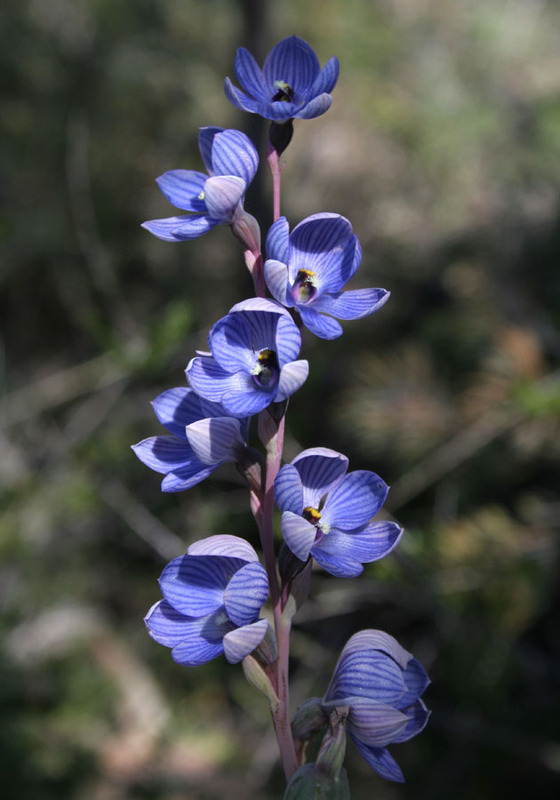 The flowers are very similar to the Blue Sun Orchid, differing by having larger flowers and minor differences in the column. 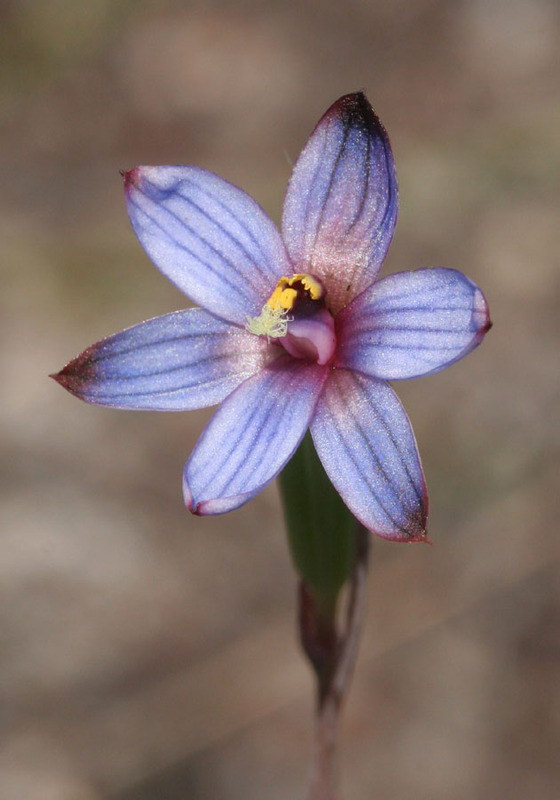 It is also found in well drained ground under Wandoo forest, rather than in swamps. 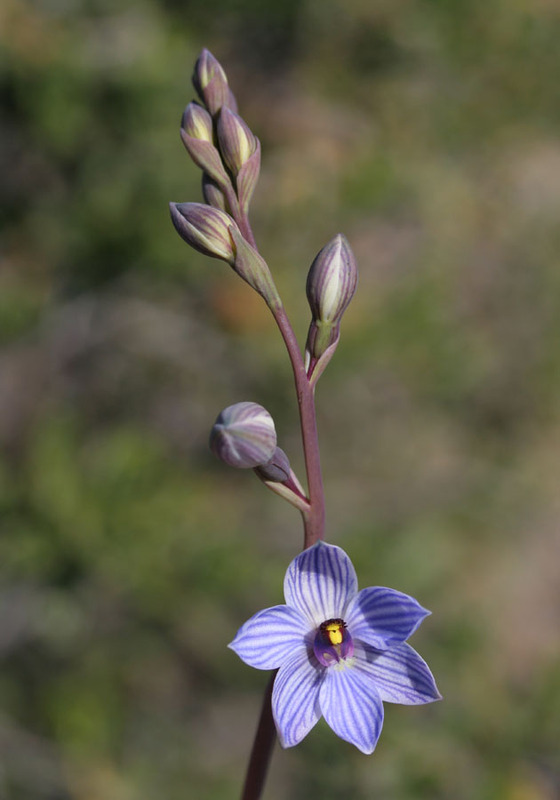 This orchid is very similar to the Wandoo Sun Orchid, differing slightly in column shape. 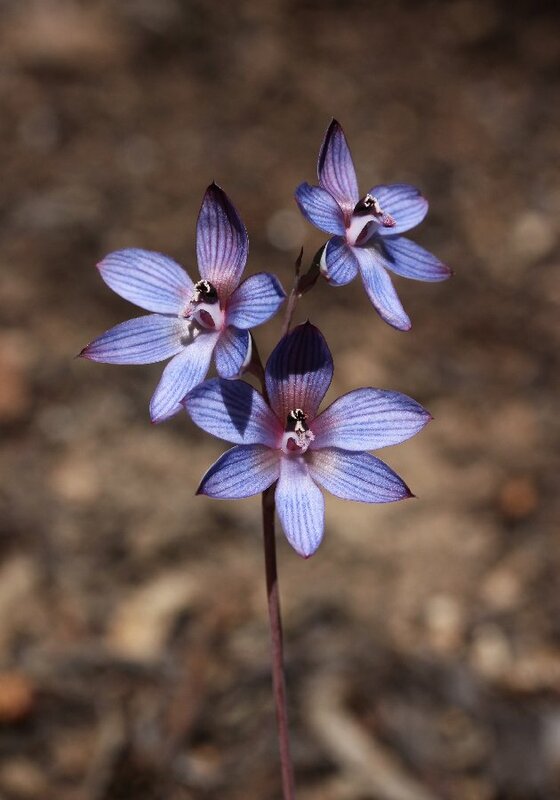 It is found from Cranbrook to well east of Esperance, growing in sandy soils in Mallee woodland and also around the margins of winter wet areas.